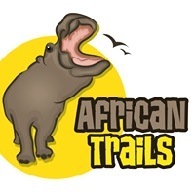 Average rating of 0.0 for all African Trails trips. See giraffe or elephant grazing beside the road. Peru - Visit Chan Chan Ruins. Visit the Ancient monuments of Egypt.